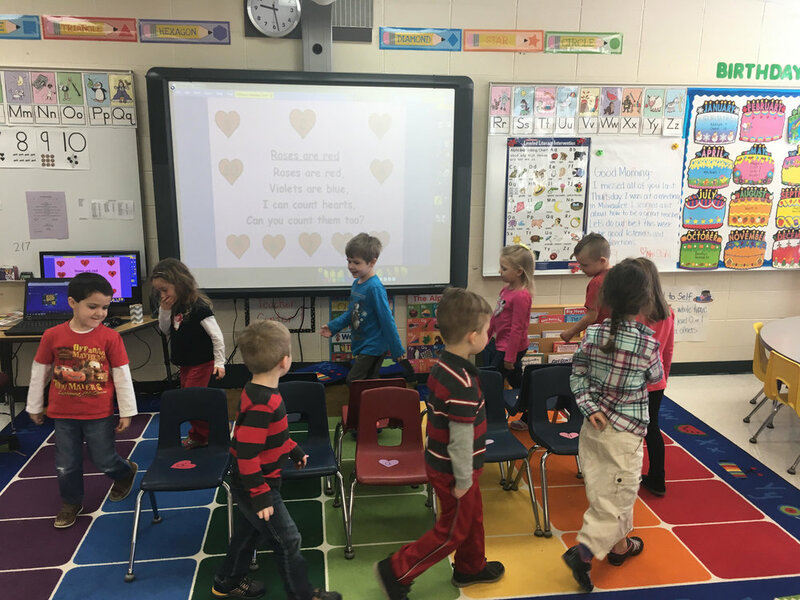 This week we did a lot of fun valentine activities. We graphed candy hearts, made our valentine holders, played lowercase letter musical chairs, and decorated cookies. Thank you to those of you who sent in items for our Valentine's Day party. We had such a fun day! We learned the letter Rr this week, and practiced sharing, playing together, and trading in Second Step. Today, I brought in cardboard and let the kids be creative decorating it however they wanted! They had a lot of fun with that too! Next week we will be learning the letter Kk. Our focus will be on dental. We will be learning how to brush our teeth and keep our teeth healthy and clean. In Second Step we will be learning about how to have fun with friends.